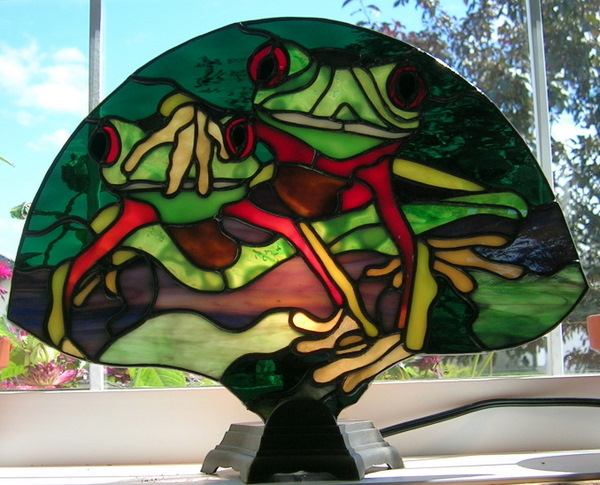 This fan lamp was donated to the Calgary Zoo’s 2008 Year of the Frog Zoo Gala Fundraiser. Designed by: Paned Expressions Studios, Inc. 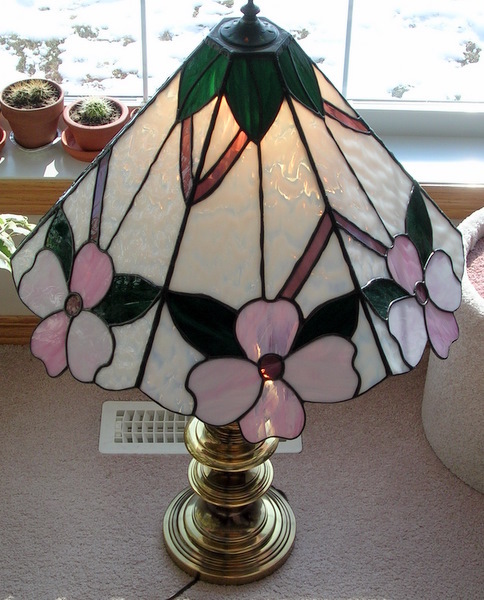 This lamp was enlarged from the original pattern to 20 inches in diameter. This lamp is held in a private collection and used daily.